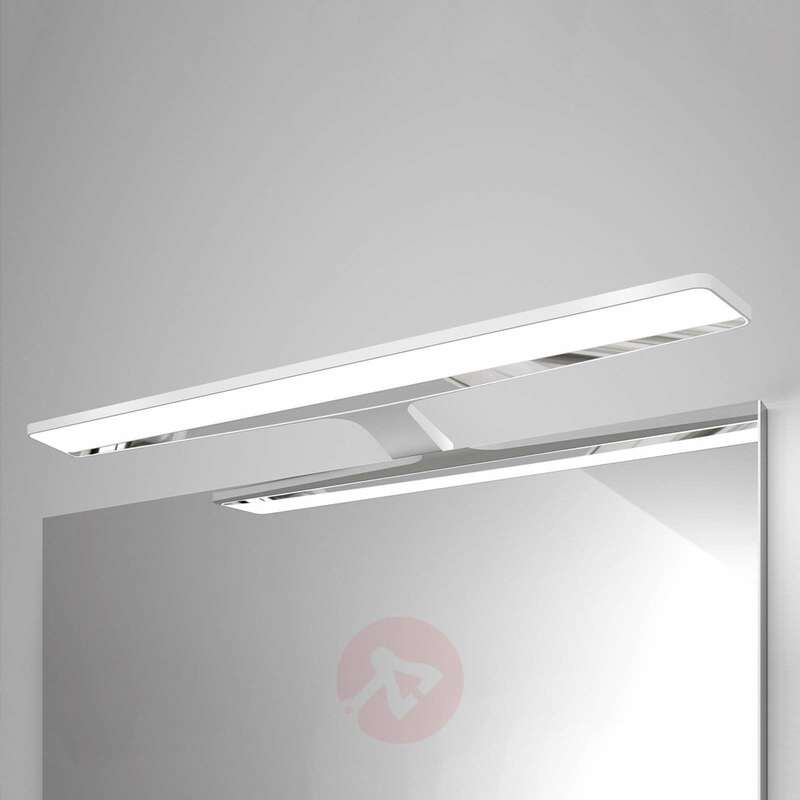 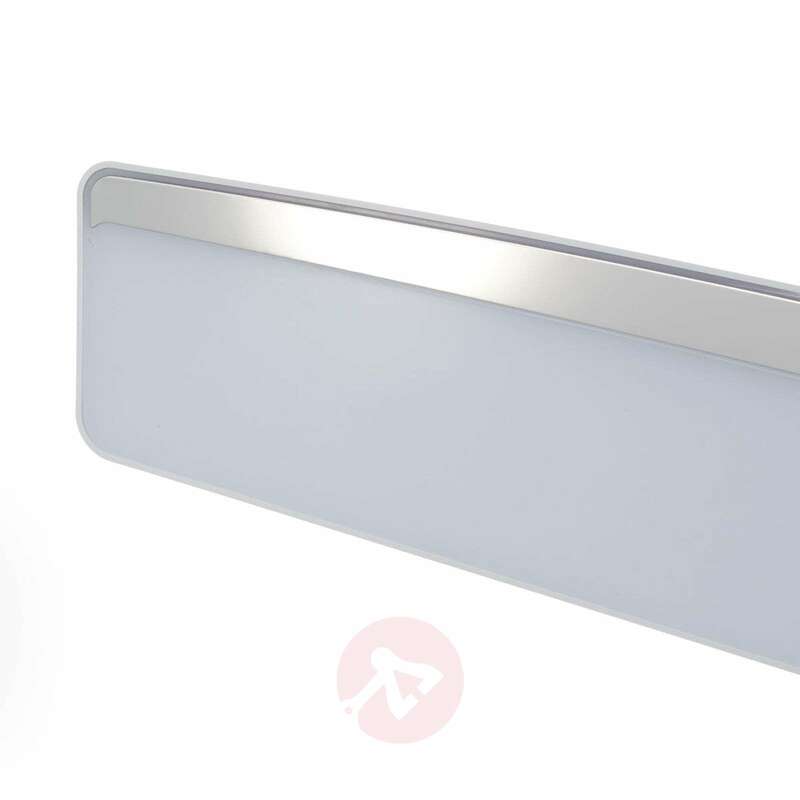 The LED mirror light Nayra has a very flat design – its LED profile is just 0.9 cm high. 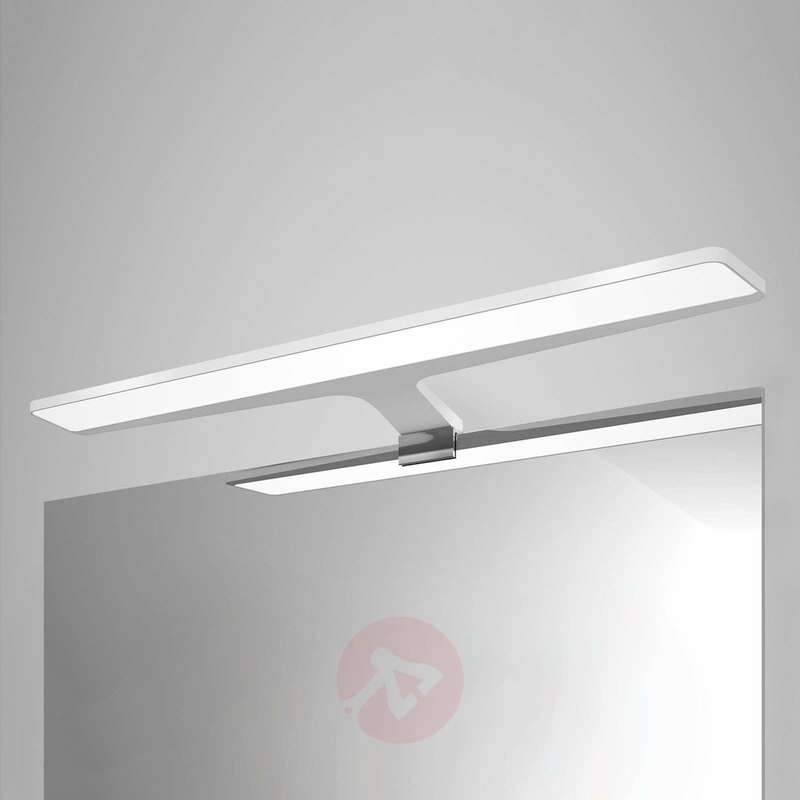 The satin-finished diffuser made from high-quality plastic causes the daylight white light emitted by the LEDs to shine at an angle of 113° to perfectly illuminate the area in front of the mirror. Nayra offers bright lighting at the mirror, but can also be installed on other items of furniture, for example the wardrobe. 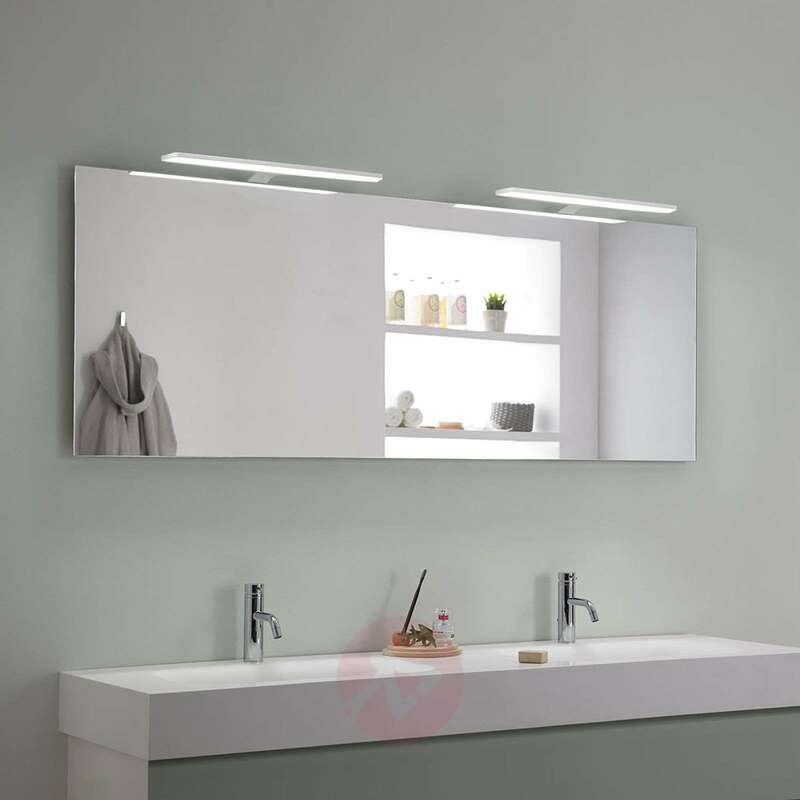 The LED driver is included and can be hidden behind the cabinet or mirror thanks to the 35 cm long connection cable. 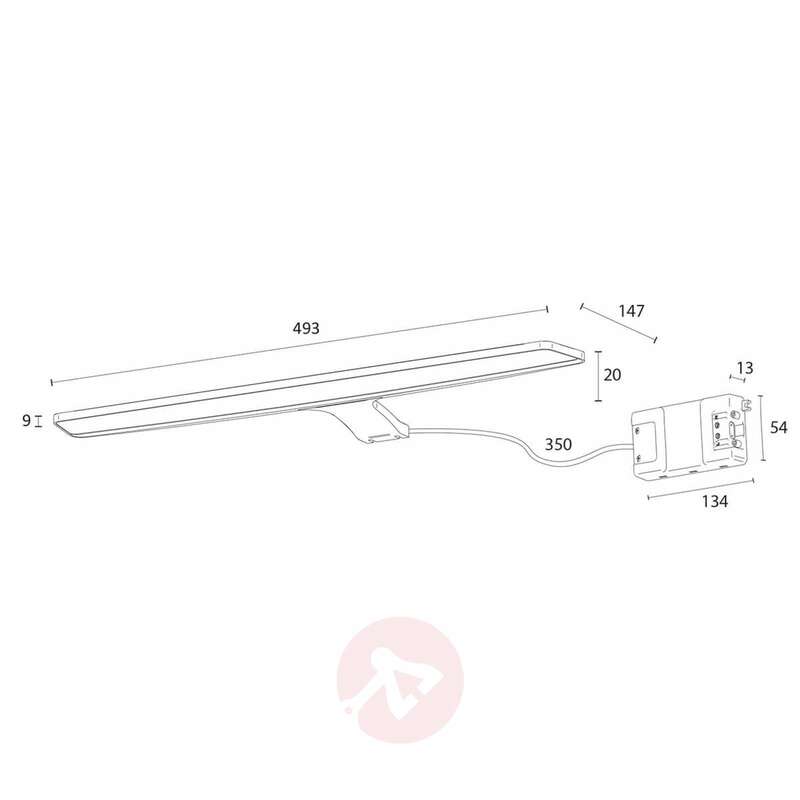 There is no integrated on/off switch. 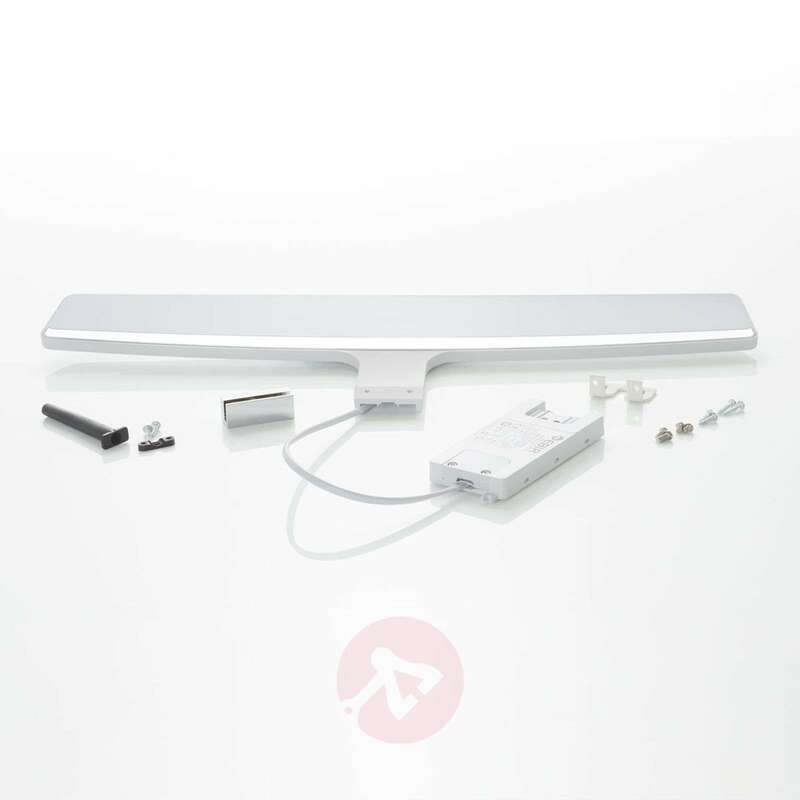 The light will be mains operated and require to be operated from an external wall switch.